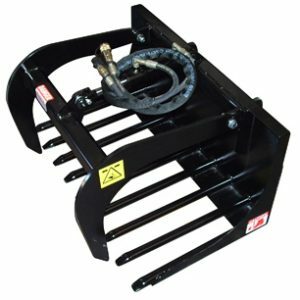 Standard Bucket for 2-Series Loader. This bucket will get you started on any project. The open shape helps prevent sticky materies from clogging, and the high tensile steel cutting teeth will dig the most difficult materials. This bucket will get you started on any project. 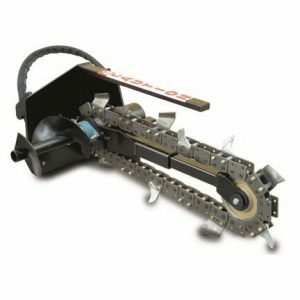 Designed with high tensile steel cutting teeth for long life and digging the most difficult materials. 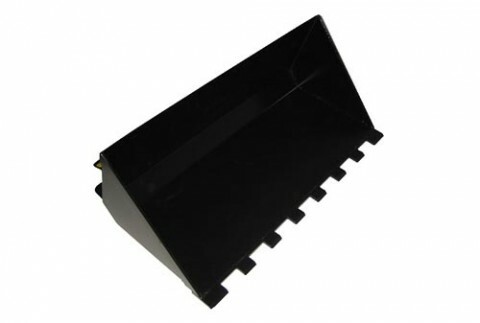 The open bucket shape helps prevent sticky materials from clogging. 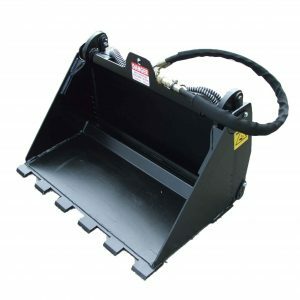 Bucket volume is sized so that the rated load capacity is (100kg-550lbs) when the brim is filled with heavy materials such as wet sand or gravel. 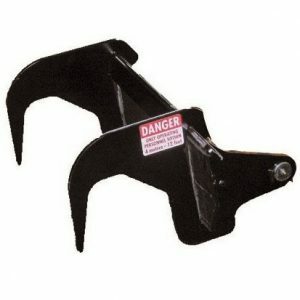 This helps to prevent unsafe operation or overloading. Ideal for everyday use, shifting sand and soil, clean up and backfill.